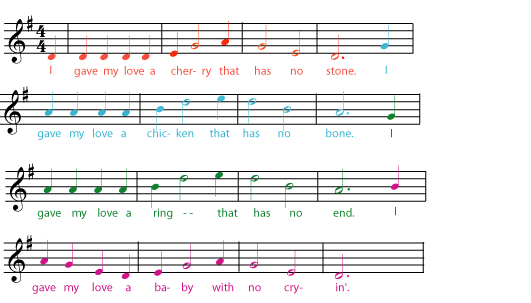 The intervals between the notes of the chord makes a much bigger difference. 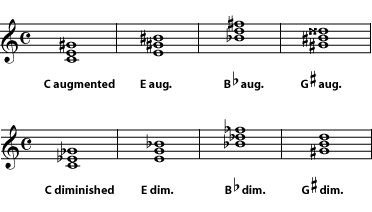 For example, if the B in one of the chords above was changed to a B flat, you would still have a G triad, but the chord would now sound very different. So chords are named according to the intervals between the notes when the chord is in root position. Listen to four different G chords. The most commonly used triads form major chords and minor chords. 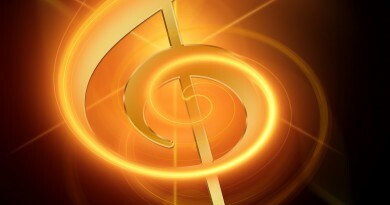 All major chords and minor chords have an interval of a perfect fifth between the root and the fifth of the chord. A perfect fifth (7 half-steps) can be divided into a major third (4 half-steps) plus a minor third (3 half-steps). If the interval between the root and the third of the chord is the major third (with the minor third between the third and the fifth of the chord), the triad is a major chord. If the interval between the root and the third of the chord is the minor third (and the major third is between the third and fifth of the chord), then the triad is a minor chord. Listen to a G major chord and a G minor chord. Because they don’t contain a perfect fifth, augmented and diminished chords have an unsettled feeling and are normally used sparingly. An augmented chord is built from two major thirds, which adds up to an augmented fifth. 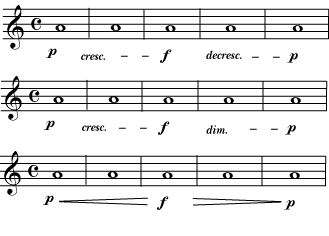 A diminished chord is built from two minor thirds, which add up to a diminished fifth. Listen to a G augmented chord and a G diminished chord. Notice that you can’t avoid double sharps or double flats by writing the note on a different space or line; if you do, you have changed the chord’s name. For example, if, in an augmented G major chord, you rewrite the D double sharp as an E natural, the triad becomes an E augmented chord.